Cool looking hold. Pretty high. Harder than T Bone Shuffle. First day in Hueco for break. Tried Choir Boys also...shut down. After working hard on it last year, I came back stronger and sent it on my first try! Beautifull, classic, and possibly one of the hardest V3s ever. i was very shaky. so fun! Nice climb. 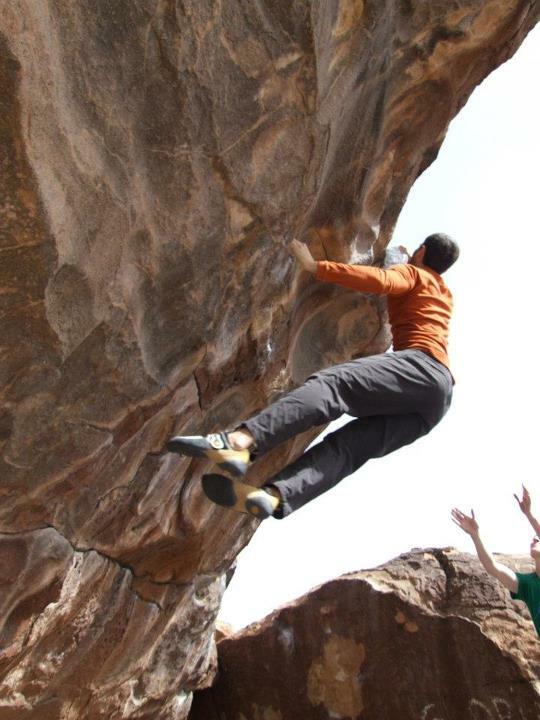 Hard holds for v3 climbers! Unbelievably hard for the grade, and unbelievably good climbing. Glad to flash this classic. Started one move lower. Pretty sharp holds. Jump on it on a warmer day so it doesn't bite. Awkward feet in the beginning. Started one move before the actual V3 start. V3 - I don't think so, but what do I know. Holy mother of god hard V4. Sharp. Did this with legends. 2004.